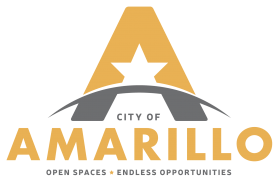 From what I can tell by seeing reactions to the Amarillo Globe-News stories posted to Facebook as well as other Facebook posts, the allies of the Wallace Bajjali-Downtown Amarillo Inc. plan for a ballpark are in panic mode. These people are running scared because the voters dared to turn out in the past municipal election to vote against the entrenched “leaders” of the city. Those are the same leaders who gave us an insider’s plan for making money on a downtown development plan flawed from the start. And, if it succeeds, is sure to put money in the pockets of prominent lawyers, a former mayor’s husband and others who have insider and advance knowledge. It’s my observation that all this social media activity is an attempt to mischaracterize this recent election and nullify the results by insulting the new councilors, Randy Burkett, Mark Nair and Elisha Demerson. I noted the most recent attacks in a previous blog post. The direct attack came in the story attacking Burkett and Nair on their interactions with the group of some 20 or so millennials who claim to represent the 43,000 millennials in Amarillo. Two years ago, then-incumbents were re-elected with a lower voter turnout than we had in 2015 and they claimed a mandate to continue with the downtown development plan, even though some of them knew then that master developer Wallace Bajjali was in trouble in Joplin, Mo., and had missed deadlines in Amarillo. When Wallace Bajjali cratered in January 2015, the incompetence of the City Council, DAI and others became part of the election calculus. It was not just the city’s operation problems that led to the defeat of two incumbents and the defeat of an “establishment” candidate for the open seat. The egregious examples of the lack of diligence were very clear to the voters who wanted things fixed, changed and done so transparently. Street and her Wallace Bajjali-loving allies need to explain how they can now claim the election with a better voter participation is less legitimate than the one before with a lower turnout. And they need to do it in context and honestly.